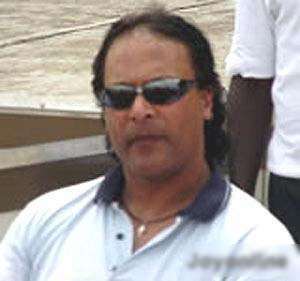 Accra, June 3, GNA - Mariano Barreto, head coach of the senior national team, Black Stars has called for a truce in the on - going press circus over the Bernard Don Bortey and John Painstil theft affair. Speaking to the media, the coach said it is important for all to note that even though the matter is still hot and everybody wants to know what really happened, all involved must be circumspect I their utterances so as not to destroy the players career. He said it is important for all involved in fanning the issue to remember that the two are national players and anything done to tarnish their image will not affect the players alone but the national team as a whole. "How do you think the whole world would think of Ghana if I take Bortey and Painstil to the Olympics Games in Athens when we ourselves have labelled them as thieves"
"At the moment nobody knows who is speaking the truth as the two players are all giving their own versions of what happened"
"This is not to mean that the truth should not be searched for, but the whole incident should not be turned into a media circus that nobody would win at the end but rather destroy the budding careers of the two players", he added. It would be recalled that recently, stories started circulating on the Internet linking Bortey to the theft of a gold watch and unspecified amount of money from the locker room of Meccabi Tel Aviv Club whilst the player was on trials. Bortey later denied the allegation and accused John Painstil of framing him up to ensure that he does not get the contract. Painstil later came out to deny Bortey's innocence and issued an ultimatum to Bortey to come clean and set the records straight.